Big Boss season 9 will be having few old starts and few controversial ones this time. The most favorite reality show of India is about to start it's new season sooner. This time Salman Khan aka Dabbang Khan will be the host of the Big Boss 9th edition. As Salman Khan mentioned “I’ll be back”, when he had to leave the Big Boss season 8 prior to his film arrangement. According to the sources, Salman Khan will be back to his regime, starring as host of Big Boss 9. Salman Khan produces ‘bang’, which no one else can. Salman Khan has played pivotal role in making Bigg Boss a super hit. Many other stars have hosted Big Boss but the rating hits records only in Sallu Bhai's show. A source also claims, Radhe Maa and Gurmeet Ram Rahim Singh will be showing their ‘skills’ in 9th edition of the show. 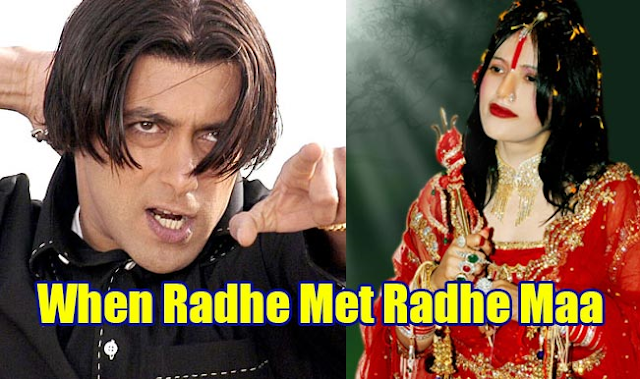 Who is Radhe Maa? Well the woman who was under discussions when a photo of her got viral in mini skirt. The religious Indian spiritual leader, having hundreds of followers all across the country. Although, yet no confirmation of participation is being made by her. On the other hands Gurmeet Ram Rahim Singh is a social reformer, preacher; who recently came up with controversial film ‘MSG: The Messenger of God’. According to some sources, Baba g has around 40-50 million followers. Big Boss season 9 will be quite religious this time and we are waiting anxiously about revealing the stars and celebrities who are going to be part of it. Kamal R Khan and Dolly Bindra will be participating again while, Uday Chopra and Chetan Bhagat are also expected to be part of show.